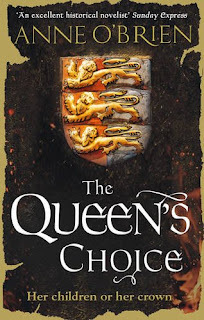 I am a big fan of historical books, both fiction and non-fiction, but I don't have a lot of knowledge of English history prior to the War of the Roses so I was intrigued to read a novel of Henry IV and Joanna of Navarre. Indeed, it was Henry IV’s grandson, Henry VI, who reigned during the War of the Roses so I have Anne O’Brien to thank for expanding my historical knowledge of this fascinating period of English history. I've also had my eye on Anne O'Brien for a while and have picked up a few of her books on Amazon to read, and I will get round to them a lot quicker now that I have read this one. I wasn’t surprised to learn that Anne used to be a history teacher as each chapter starts with a location and date, and I do find it really useful to have such a timeline when reading historical fiction. 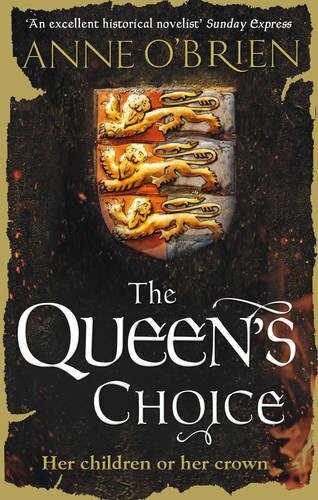 The Queen’s Choice is a very comprehensive account of this period in history and I thoroughly enjoyed it. It gives an insight into the strained relations with France as well as the competition for the English crown. The paranoia surrounding the monarch, who has been labelled as a usurper, must have been difficult to live with and I can see why Henry wanted to keep his crown close to him at all times. I almost expected it to be prised from his cold dead fingers at the end. Henry IV has to take a back seat in this novel as Joanna takes centre stage, being the subject of the book’s title. Joanna is an unbelievably strong woman for her time – as Duchess of Brittany she was instrumental in helping her husband with his decisions but found that her voice wasn't heard when she became Queen of England. Joanna’s story is quite tragic; she left her sons in France to become Queen of England and marry the man that she loved. Although due to Henry constantly fighting rebellion, she didn’t see him as often as she would have liked and therefore didn’t give Henry the child that she craved. Tragically, Henry is struck down with a deadly skin illness and Joanna shows that her love for him is more than skin deep. Anne O’Brien brings history to life in this vivid portrait of Joanna of Navarre. I felt that I had stepped in Joanna's shoes and lived life through her eyes for a short period of time. It’s a royal love story with all the treachery and treason of the English medieval court. 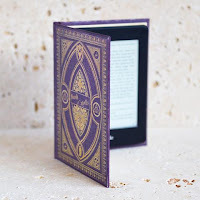 I received this e-book from the publisher, MIRA, via NetGalley in exchange for an honest review.